"When the Prince of Wales arrives, his valet will take him up to his room while his cargo is unloaded. All of his Christmas gifts get placed on trestle tables for each member of the royal family. The royals are of German descent so they weave in German traditions to their celebrations. After afternoon tea, they open gifts on Christmas Eve, as is the German tradition. Christmas morning, the family eats a hearty breakfast before heading off to church. After church, that's when they have a big lunch that includes a salad with shrimp or lobster, and a roasted turkey, and all of your traditional side dishes like parsnips, carrots, Brussels sprouts, and Christmas pudding with brandy butter for dessert. They stick with the same meal year after year. 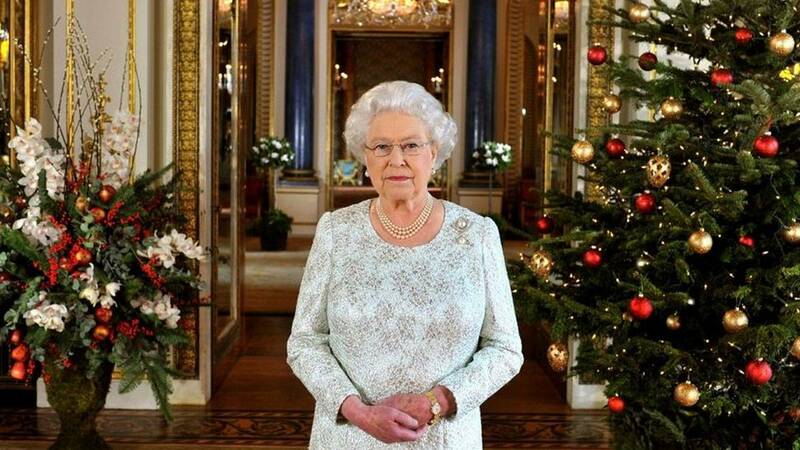 Once they've eaten, everyone sits down and watches the Queen's Christmas speech. Afterward, they all go their own way before coming together again for afternoon tea and traditional Christmas fruitcake, then they gather again in the evening, where a buffet dinner with 15-20 different items awaits them. It's always a buffet with the chefs at the table carving. They don't do appetizers on Christmas like many do in the U.S. Instead, appetizers and canapes are reserved for New Year's Eve." While Buckingham Palace is always decked out with Christmas decorations, Sandringham is a private residence and is, therefore, more modestly festive.